President Ali Abdullah Saleh left Yemen and flew into Saudi Arabia on Sunday for medical treatment, pitching Yemen deeper into turmoil after months of protests against his three-decade rule. Saudi sources said Riyadh had brokered a ceasefire between rival clans and political elites. The streets of Sanaa, which had rung with gun and rocket fire in recent days, were quiet as night fell and the truce seemed to be holding. The Saudi royal court said Saleh had arrived to be treated for wounds suffered in Friday’s rocket attack on his presidential palace — an assault that marked a major escalation in a conflict building towards full civil war. 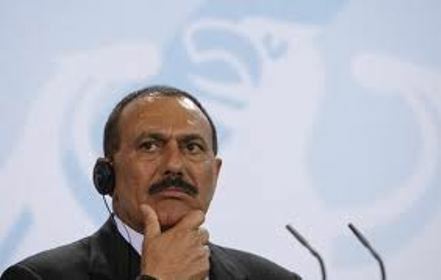 Rumours of Saleh’s departure had circulated in Sanaa for hours before his arrival in Riyadh was confirmed, and Yemeni officials repeatedly denied he had any plans to leave. Saleh, whose Saudi medical evacuation plane was met by a senior Saudi official, walked off the aircraft but had visible injuries on his neck, head and face, a source told Reuters. Saudi Arabia, itself vulnerable to religious militant groups operating on Yemeni territory, has been to the fore in efforts by Gulf States to negotiate Saleh’s resignation and peaceful handover of power to fractious opposition groups. He has several times backed away from agreements at the last moment.